This is one sweet Fairy Woodland Party Door Sign in Pink for your little girl’s Birthday Party. 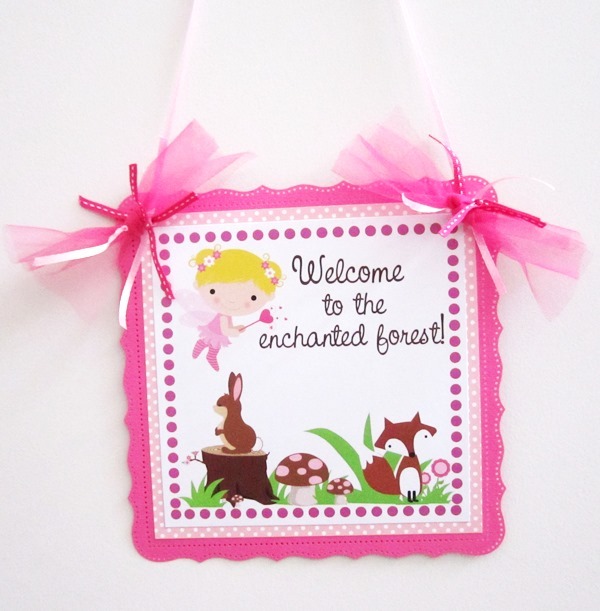 How cute are this fairy and her woodland animals, bunny and fox, are! 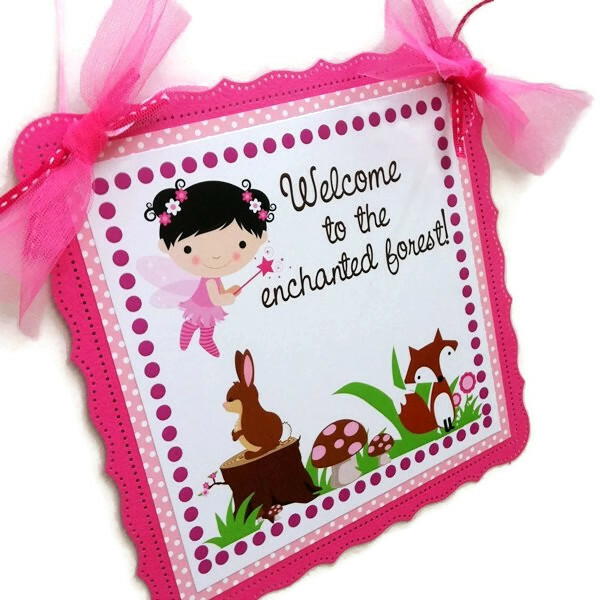 This Fairy can be personalized with her hair to match your little girl’s hair color. 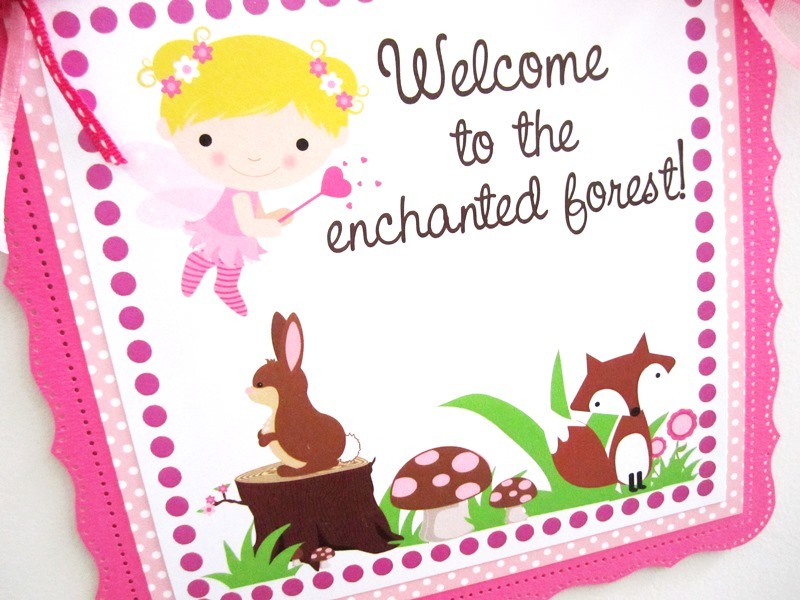 She is holding a heart (or star wand) flying by the enchanted forest, greeted by sweet rabbit and her kind-hearted fox, the woodland animals. 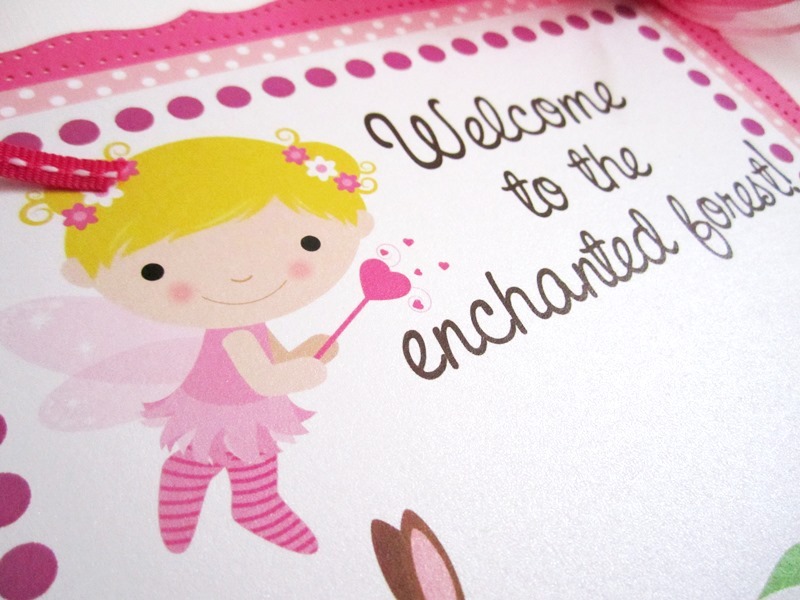 The little fairy’s hair can be changed: blonde, brunette or black. 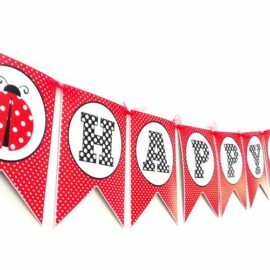 The text can be changed as well to meet your need. 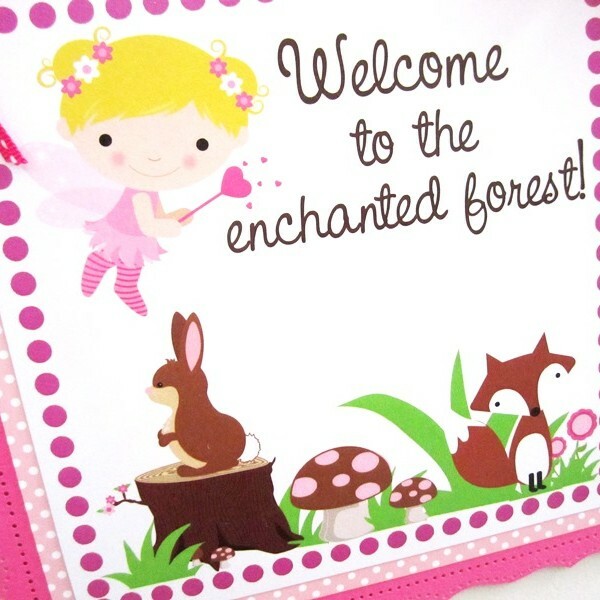 Indicate the texts to be printed on the door sign otherwise it’ll say Welcome to the enchanted forest! 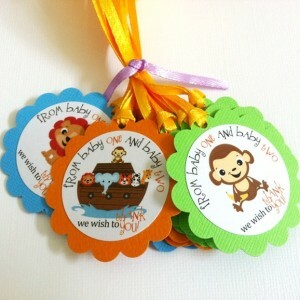 It’s completely customizable. 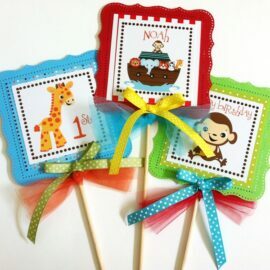 Let me know the cardstock colors, pattern papers, texts, images and/ or theme that you have. 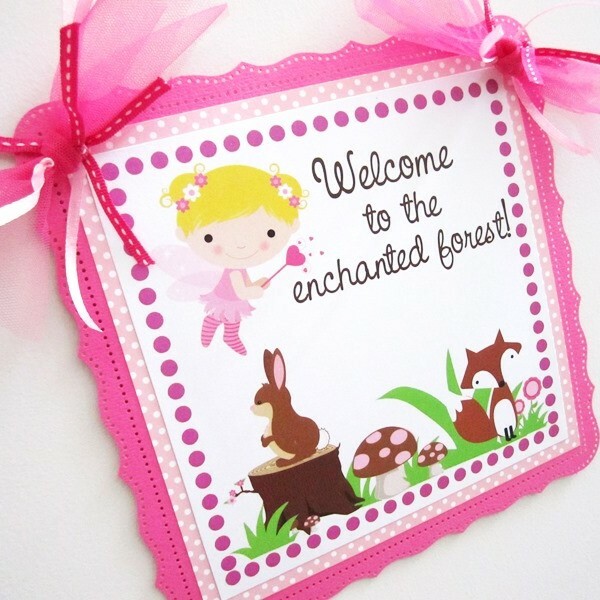 This Fairy Woodland Party Door Sign measures 8.5 inch x 8.5 inch (or 21.59 cm square), adorned with pretty tulle and ribbons. 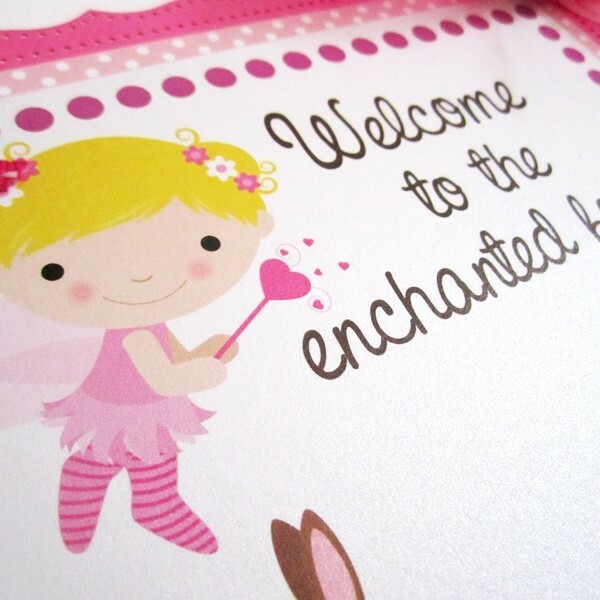 The paper that I use are not only heavy weight papers but also includes a textured cardstock as the base, giving it an extra detail and feel to it. 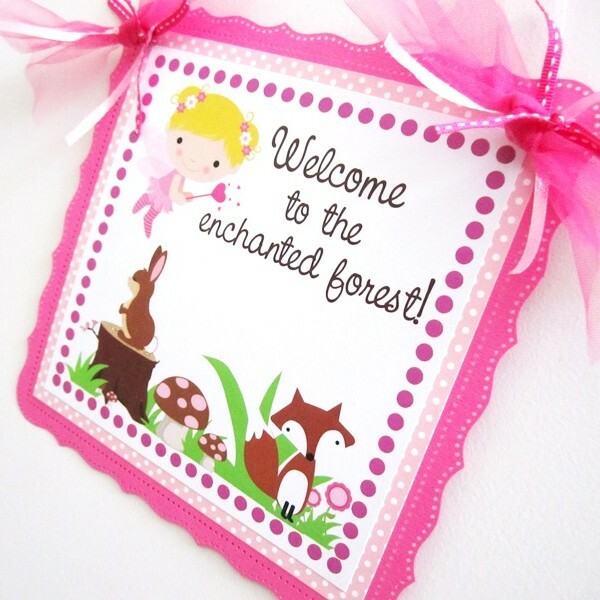 This door sign has detail style border, making it one of a kind door sign. 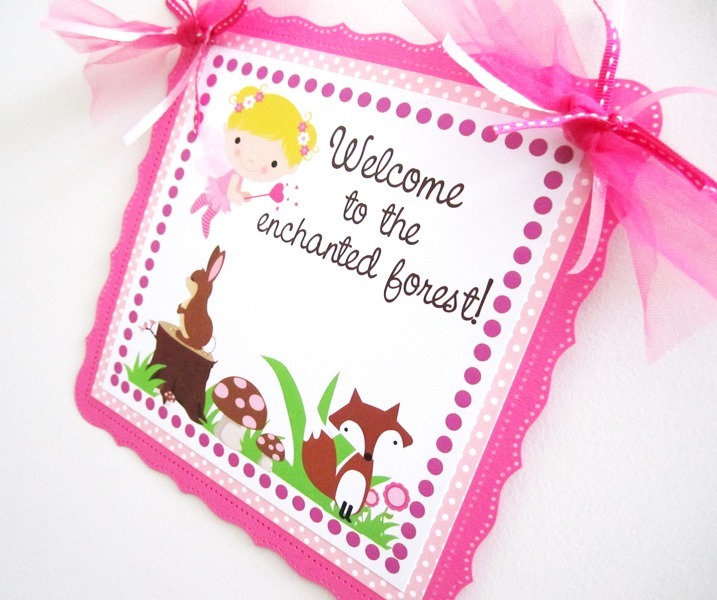 You will receive one high quality, sturdy door cute door sign made of cardstocks. 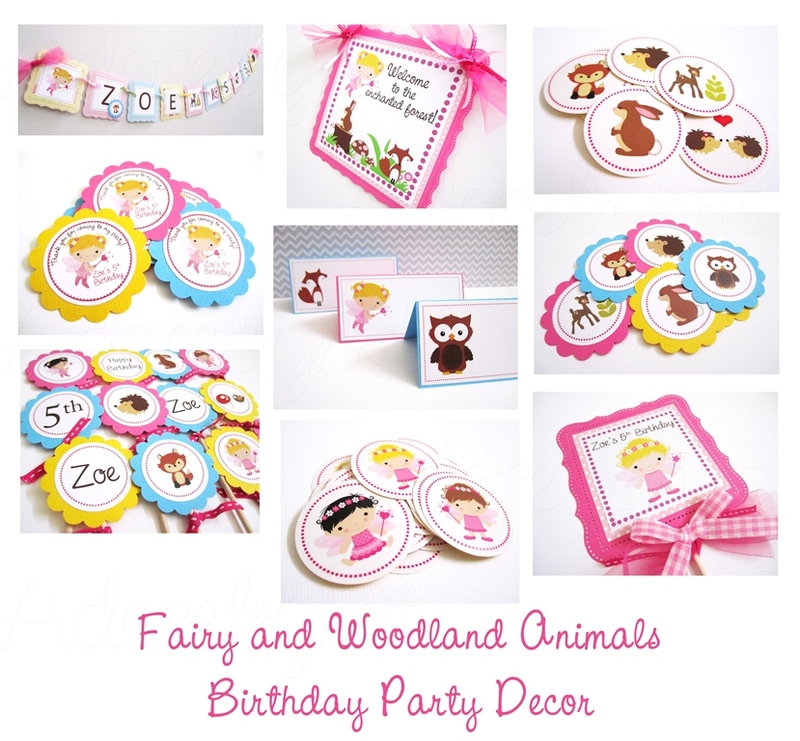 Here are more pictures of Fairy Woodland Party Products. 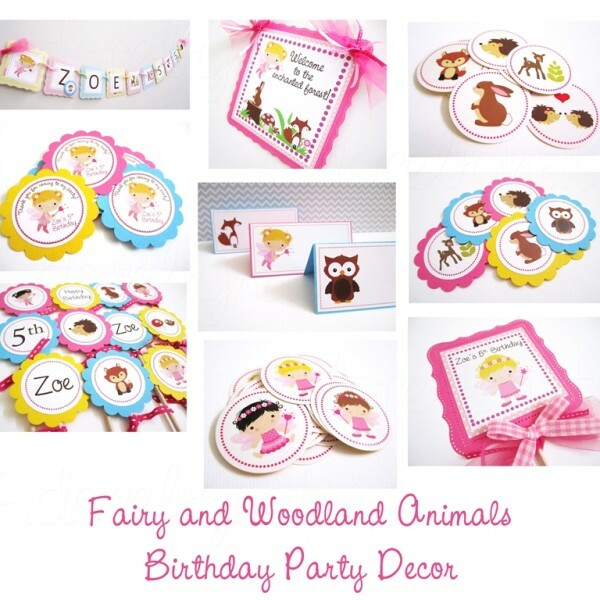 Looking for inspiration on how to do a Fairy Woodland Party? 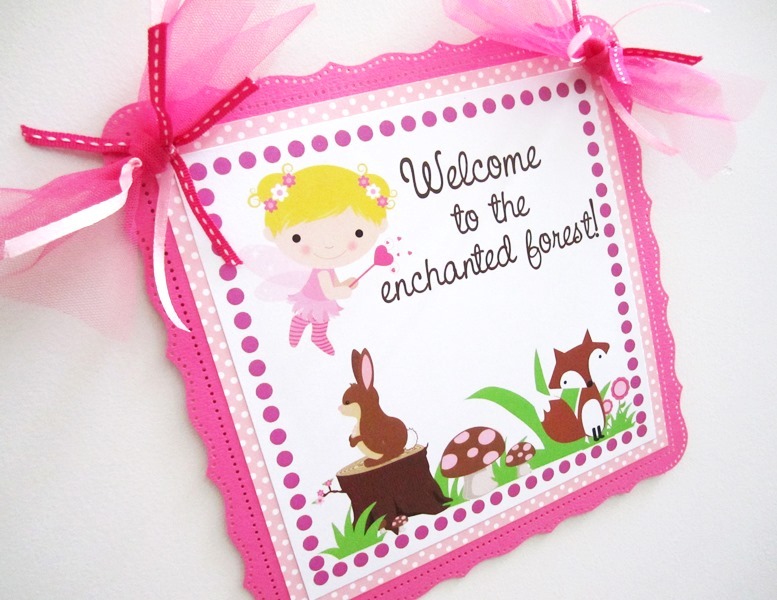 My client shared her pictures of her daughter’s Fairy Woodland Party with me and they are amazing. 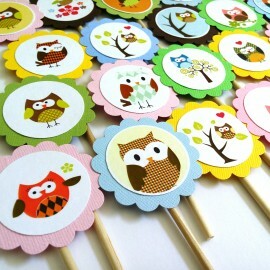 You can check them out on my blog post.